Gardening has always been one of my favorite hobbies. For me, the yard and landscape is like a blank canvas to brush a sea of flowers on it. I love digging up perennials, dividing them, and moving them around. The garden is ever-evolving and never ceases to be a work in progress. Keeping garden tools organized makes the job easier, and it’s even more enjoyable if you have an adorable garden shed to store them in. 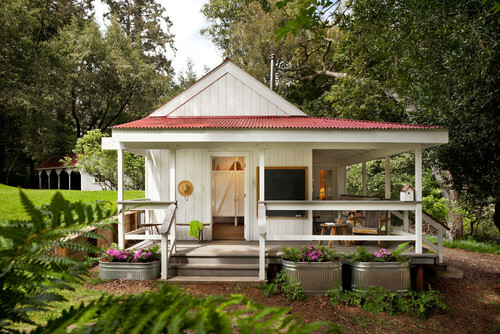 So I turned to Houzz for inspirational shed ideas to share with you. Who says garden sheds have to be boring? I love this red one with turquoise shutters. 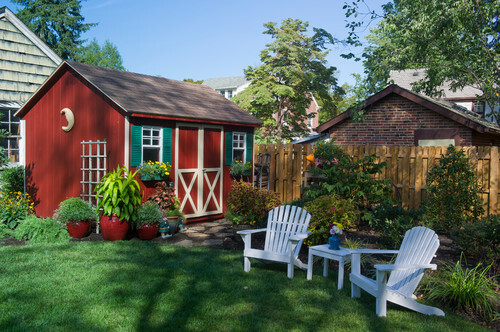 The shed adds aesthetic appeal in this suburban backyard. 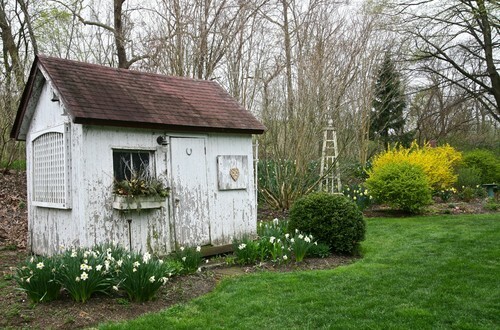 A white shed can be as equally charming as a colorful one. This shed has a pretty, shabby chic look. 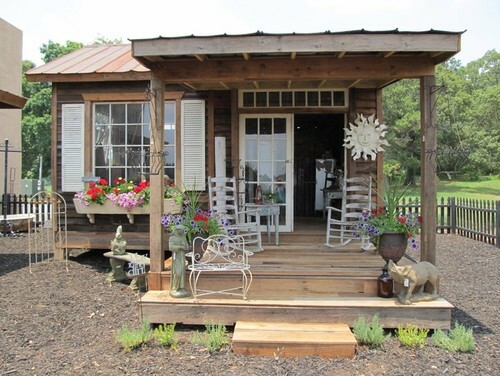 A traditional shed has pretty barn-style doors and simple black shutters. The dormer windows add an unexpected and appealing touch. 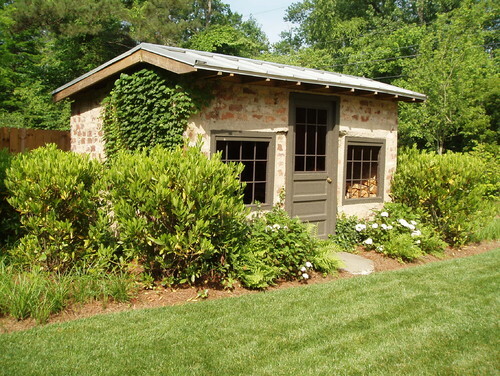 How about a brick shed? This looks like one of the 3 Little Pigs’ homes! It’s quaint and simple with big windows to let in plenty of light. 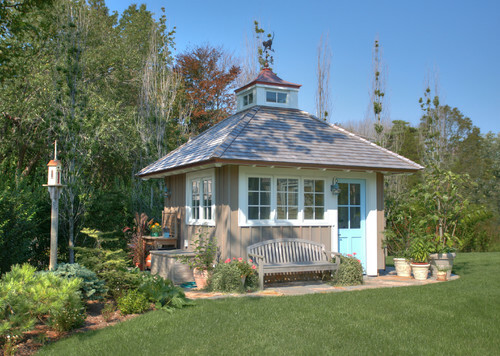 If fancy is more your style, you might like garden sheds with a hip roof and cupola. Once again, plenty of windows let in a lot of light. 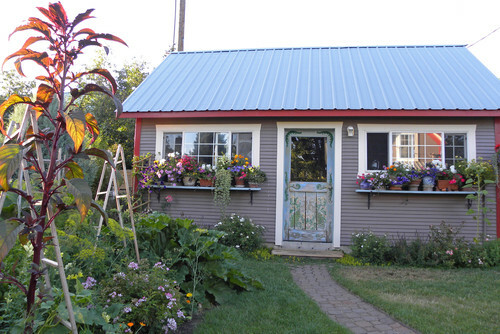 I love this cottage-style shed with its metal roof and weathered door. Shelves with garden pots create a makeshift flower box. If you spend a lot of time in your potting shed, why not add an outdoor space to it? This looks like a miniature house and I could spend hours out here. 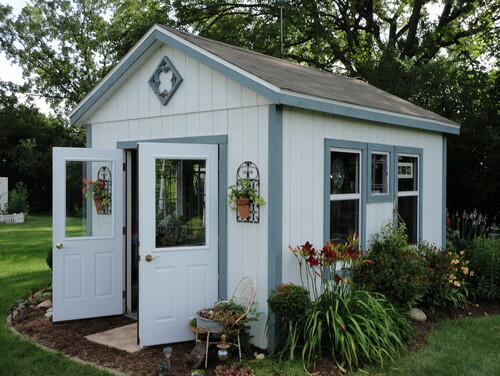 A charming blue and white shed with double doors and plenty of windows. The wrought iron garden pot holders flanking the doors are a pretty touch. I just adore this rustic shed that looks as though it were built piece-meal. And such charming details like the vine on the window and the turquoise star. 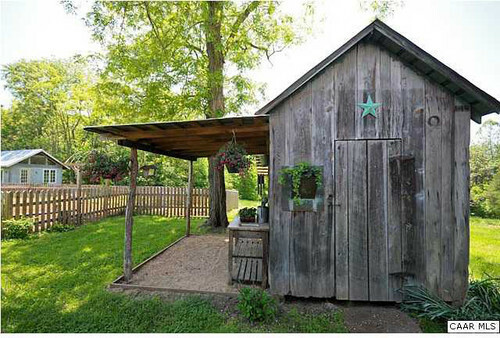 This garden shed is actually a bath house. I love its wrap around porch. And the galvanized troughs with flowers lend additional farmhouse-style. 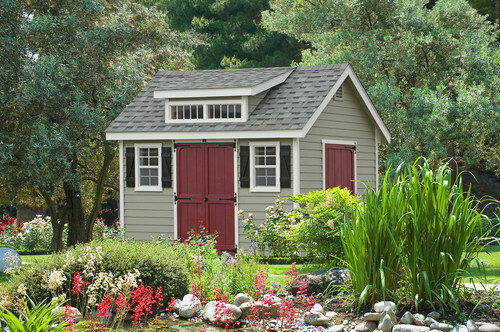 I hope these 10 sheds have given you ideas to spruce up your own garden sheds! I’ll take that little rustic white one, please! What fun! Love them all and could even live in a few 🙂 Beautiful!! I love looking at sheds! 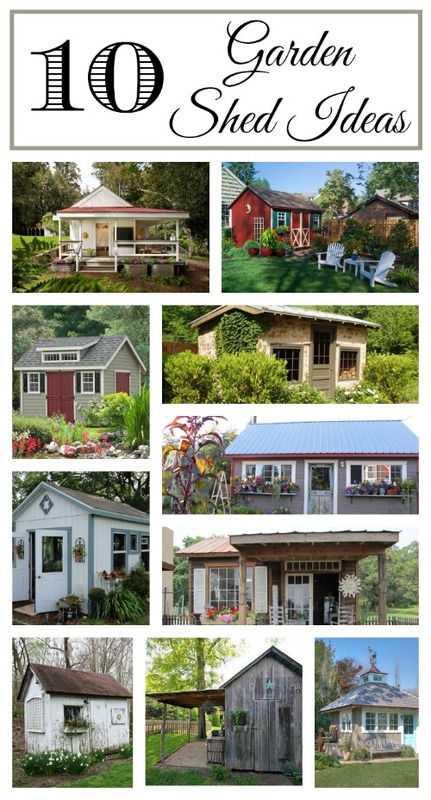 I want the one with the cupola or the farmhouse shed. What cute sheds! I wish mine was more decorative but I am glad that I at least have one for storage. Wow, some of these are awesome! Is there anything the humble garden shed can’t do?